Fyling Hall School choir has developed significantly in recent years and is an integral part of the school, open to anybody from years 6-13. The choir performs at every major school event and concert. We were recently invited to perform on BBC documentary ‘Songs of Praise’, and we have won several awards at local arts competitions. The choir performs a wide range of music- from classical pieces to songs from the shows, English folk music and Gospel to modern pop. 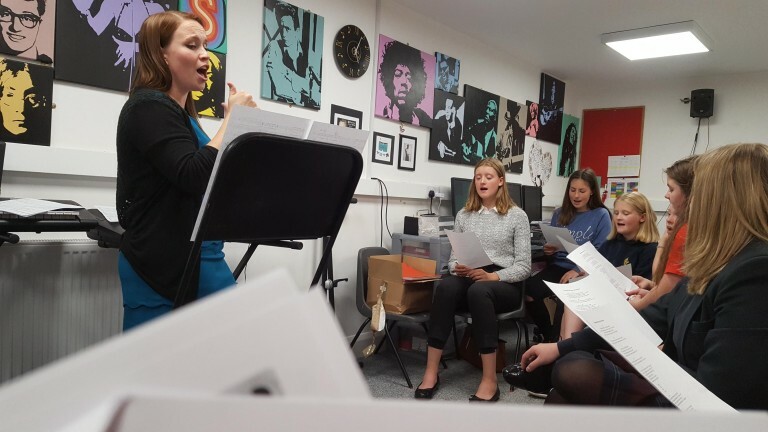 The choir performs alongside other school musicians in the community, and have performed at local world music festival Music Port alongside professional bands. ‘Choir is one of the best aspects of Fyling Hall School. Performing alongside students and teachers alike really gives a sense of community, and it’s great to see the effect that music can have on people in the audience.’ (Current Year 11 Pupil).